Should you pay people to quit? Lisa was in a group of new recruits going through an intensive week of immersion training at a new employer, learning everything about its strategy, culture and processes. Frank, the training class leader, left the room, and long-standing employees Joe and Cheryl came in to discuss the new group’s progress and offer support. Or so Lisa thought. Lisa could not believe what she was hearing. Were they paying her to quit? Do companies really do this? Sounds crazy? And yet, one company really does pay its people to leave. That company is Zappos.com, an online shoe and apparel retailer in the US that sells tons of shoes. And I’ll show you how the Zappos strategy makes business sense. Lisa’s experience was not unique. Because even more legendary than Zappos’ preoccupation with exceptional customer service, is its counter-intuitive quit-now incentive. When Zappos recruits new people, it immerses them in four weeks of training on the company’s strategy, culture and customer service focus. People are paid in full during this time. A week or two into this training, Zappos makes what it refers to as “The Offer.” They tell their newest recruits: “Quit today, and we will pay you for the amount of time you’ve worked, plus we will offer you a $4,000 bonus.” Zappos essentially bribes its newbies to jump ship. Why? Because accepting The Offer shows you clearly don’t have the commitment that Zappos is looking for, and you’re just in it for the money. Zappos wants to find out if there is a disconnect between what makes the organisation tick and what makes individual staff members tick. And it is prepared to pay to uncover the misfits sooner rather than later. Even from a financial perspective, there is a sound business case for “The Offer”. Why? Employee turnover can significantly erode financial performance. Recruitment, training and lost productivity cost companies millions in revenue. When an employee quits, the average cost of turnover for one staff member typically ranges from one to two years’ salary. This is according to the Saratoga Institute, an HR consultancy specialising in quantifying HR activities. This finding is supported by research conducted by CareerBuilder, who found that the average cost of making a bad hire is $25,000 (or R225k). The 2011 survey indicated that a single bad hire can considerably impact a company’s bottom line. Let’s say a company has 600 staff members, with salaries averaging R300k pa per person (according to SalaryExplorer.com, the average annual salary in South Africa is R301 392, although there is considerable variation between the upper-end and the minimum). If the turnover rate is 10%, 60 staff are quitting each year. Factoring in costs such as training, lost productivity, new hire and recruitment costs, at a cost of 150% per employee lost (or R450 000 per annum), this means the company will spend at least R27m a year (i.e. 60 x R450 000) to replace the lost staff complement. So Zappos’ strategy of identifying the misfits early – at a cost of only one week’s salary and R36,000 per employee (the Rand equivalent of Zappos’ $4 000 offer) – could save the company a sizeable chunk of revenue in the long-run. Surprisingly, the quitting bonus also keeps staff on the job for longer. 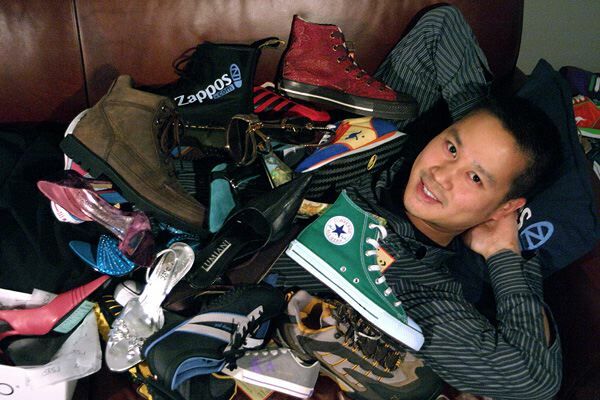 A mere 3% of Zappos’ new staff members take the $4 000 and quit. (Interestingly, Zappos’ quitting incentive started at $100 and was raised to $1 000, then $2 000 and finally $4 000 because Hsieh didn’t feel enough people were accepting the offer!) The overwhelming majority of trainees – 97% – decline the offer, resisting the temptation to take the money and run. By staying, they make a public declaration of commitment to their new employer. This offer then expires within 24 hours. Virtually no one leaves in the initial months after training. Why? Because they would feel foolish to quit without compensation, when they could have quit for money. The cognitive dissonance would be too large. This is the sheer strength of resisting temptation – you need to justify your decision to stay. Zappos must be doing something right. In 2009 it hit $1bn in annual sales, up from $1.6m in 2000, and reached its other long-term goal, debuting at No. 23 on Fortune’s Top 100 Companies to Work For. And while Zappos will still pay new recruits to quit, in 2010 Hsieh revealed that the company hasn’t made a payment like that in close to a year. People aren’t quick to leave Zappos once they get in the door. Categories: Uncategorized | Tags: immerse, incentives, quit, the offer, tony hsieh, zappos | Permalink.